The MEM (Mathematical Education on Merseyside) Mathematical challenges are run by Liverpool University. Pupils are invited to produce solutions to a series of challenging problems. 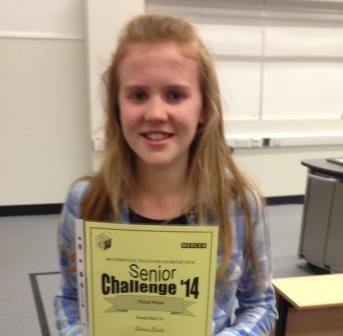 This year they received a total of 1,800 entries and almost 400 for the Senior Challenge. Entries came from over 90 schools. Fiona Olsen won Best in School for the Junior Challenge. 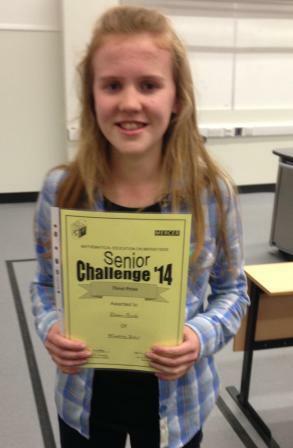 For the Senior Challenge, Eleanor Brooks won Best in School and also won third prize overall! Eleanor was invited to receive her prize at Liverpool University on 7th May.